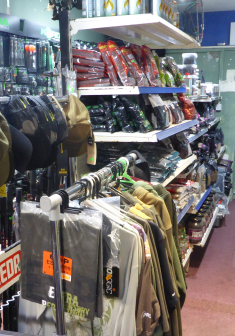 Our recently revamped shop has a large dedicated fishing area, holding a large selection of Fishing Equipment and Supplies including Fishing Rods, Fishing Reels, Fishing Bait and Clothing. Most of our stock is aimed at the the Fresh Water Fishing enthusiast, but we do stock a small selection of Sea Fishing and Fly fishing equipment. We are normally able to get in more specialised items for you within a couple of days. 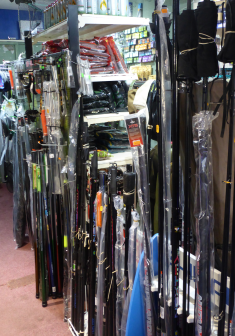 The Fishing Tackle that we stock tends to be at the lower end of the price range, especially the rods and reels. We have Match Rods for as little as £20.00 and Carp Rods from under £30.00. Most of our Fishing Reels are in the £5.00 to £40.00 category. There is a variety of the usual equipment available including:- hooks, line, PVA bags, swim feeders, etc. and general coarse gear, pike and carp equipment and a limited amount of Sea Tackle. 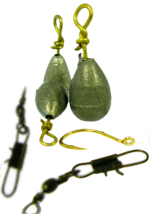 We stock a good selection of Fishing Baits for the coarse angler. 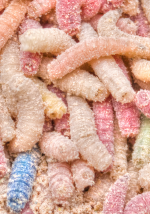 There are maggots, trout pellets (available loose in various sizes), very many ground baits (some loose), hemp (canned, frozen, crushed, uncooked or loose), soft hook baits, seed baits, boillies, pop-ups, frozen pike / sea baits and additives. 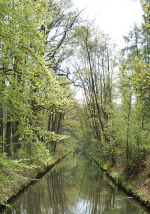 Pentangle supplies Fishing Permits for local lakes and rivers including Farnham Angling Society. We can normally source most Permits.